Several C.N. items have discussed Jackson Whipps Showalter’s alleged connection with baseball, and in C.N. 5706 Kevin Marchese reported that he was writing a book which would demonstrate that the master’s date of birth was 5 February 1859 (and not 5 February 1860, as commonly believed). 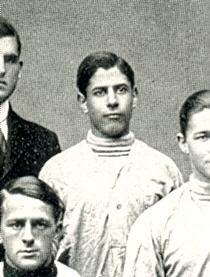 ‘It appears that Mr Marchese is correct that Showalter was born in 1859. A photograph of his plaque in the Georgetown cemetery reads “1859-1935”. Another webpage says that Showalter was born on 5 February 1859 in Minvera, Bracken Co, KY, the information being taken from the “Kentucky Birth Records 1852-1910”. Furthermore, it is stated that the death records covering the period 1852-1953 gave 1860, which suggests that they may be the source of the error. This information supports Professor Rubinstein’s conclusion in C.N. 4456 that Jackson Whipps Showalter (born in 1859) was too young to have invented the curve ball. 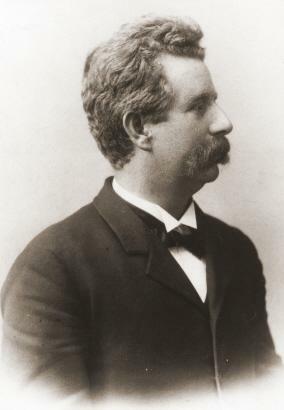 A. Thompson – E. Muñoz. Probably no event in the ball-playing world has created at once more and less interest than did the contest of the chess magnates, which eventuated on Friday, the 25th instant, on the Capitoline Grounds – more interest among the parties directly concerned, and less interest by anyone else. Captain Mackenzie is a fine chessplayer; indeed, it is generally admitted that as a master of the chequered field he has no equal in this country, nor probably in any other. An intelligent, thorough gentleman, he has hosts of admirers. But, as is often the case, he unfortunately seemed to have a weak spot. He imagined that he would make a success on the ball field. He had been over to the Union Grounds and had seen two professional nines perform; and so easy did it seem the way those fellows stopped, batted and threw the ball that he knew he could do it just as well the first time. From that moment he was an uneasy man. Chess no longer had its charms, but ball was on his brain. In a fit of rashness he challenged one Brown to create a nine and oppose the experts he would select. No sooner said than done. In this matter he was largely aided and abetted by one Chadwick, who, with only a superficial knowledge of the game, encouraged the Captain in his mad scheme by various newspaper articles, until all doubts were removed from the champion’s mind. Unknown to the doughty Captain, this Brown was an old ball player – a man of experience on the greensward. Not that he had ever actually played in a real game, but he knew Ferguson by sight, and had often helped to carry the bag of bats on the field, and hallooed “hoorah” and eaten the leather sandwiches peculiar to ball grounds. He selected his nine with a large amount of hindsight and was then prepared to do battle. Before leaving for the grounds a telegram was received from the captain of the Philadelphians, asking if his club would be allowed free admission to the grounds. He said that there were many nice little points his club had failed to pick up as yet, and it would be much easier to learn from the books than to find out by actual play. This request was politely but firmly refused. Upon reaching the grounds we found Mackenzie there, pale but determined, rigged with a pair of No. 14 ball shoes, which some said he had been wearing a week. The whole Richardson family was on hand, Van Wagener, Monroe, Delmar, Mason, the great Dill, Echorn, Tomkins and Brown. Chadwick, satisfied with getting them into this muss, had absented himself. Gilberg and Perrin couldn’t possibly come (they were all on Mackenzie’s side). However, by the assistance of a few outsiders, full nines were formed, and the game proceeded. It was afterward found to be fortunate that these few strangers to our king of games were taken on; otherwise the game would never have come to an end, as they were the only ones who got anyone out. Richardson Sr., having been appointed by the captain (who began to feel his courage oozing out of his finger ends, a little preliminary ball-tossing tending to that effect) as general in chief, upon winning the toss, contrary to usual custom, went to the bat. Mr Burdock of the Atlantics kindly consented to act as umpire upon condition that the captain should post him whenever he failed in a proper interpretation of the rules. Richardson led off with a fine, safe hit away down almost to the short stop, and then Mackenzie proudly toed the plate, and after a few moments of indecision such a belt as he gave the ball, and then he started like a deer for third base, shouting between every jump, “Here I come! Look at me! Oh, just look at me!” We regret to add that before he got around to first he was decided out, as seven or eight of the fielders had surrounded him. And then Dill came to the bat. We have seen hard batters before. Pike of the Baltimores strikes like a streak of lightning. Meyerle bats pretty lively, but it has been reserved till now for us to see a quick hitter. No-one could see the bat move, only a sort of blue haze surrounding the plate, in the centre of which was faintly discerned the form of Dill. It was a matter of regret to his backers that he struck out. Delmar, by a caulker to right, tallied a run. And then the “weak side” took a turn at it. Brown toed the plate, but wanted time called until the pitcher could be put further back. He said he was too near; he hadn’t time to see the ball. Umpire rebuked him, and called play. He sent a hot daisy cutter down to Delmar, who made as fine a stop as was ever seen on the ball field. It was remarked that the young man didn’t sit down much when riding home in the cars, and it was lovely to see how polite he had suddenly grown; he was willing to surrender his seat instanter to anything which faintly resembled a petticoat. Burdock called him aside and told him that, however successful such stops were, it was a “higher style of art to take the ball with the hands”. To which the young man feebly responded that he “only wished that he had”. Mason clearly demonstrated that he was not so green as he looks (speaking entirely with reference to the game under consideration), by striking out at the ball in a manner which at first blush looked a little wild. But there was method in his madness, and he soon got a beauty for two bases. Brown, who was on third, got excited over his responsible position as captain of this wonderful nine, and ran back to encourage Mason, but was quite disgusted to hear that someone had put him out. No-one ever found out who had attained to this honor; but the umpire said so, and that settled it. Brown was a rainbow as he ambled back to the bench – decidedly blue, assuredly green, and certainly brown. He wanted to argue the matter with Burdock, but was gruffly and properly told to sit down. Monroe came to the bat with great confidence pictured on his classic phiz. He was equal to the occasion, and soon hit a stinger down toward Richardson. This latter player, seeing that he could not get out of the way of the ball, squared himself for the impending catastrophe. It passed like a flash between his hands, which were about two feet apart, and landed squarely on the second button. The young man staggered around the base for a moment, and then assumed a recumbent position, with an agonized expression on his countenance. The players gathered hastily around, indulging in expressions of genuine sympathy. No signs of life were visible in the sufferer, and the fellows got excited. “Lance his eyes”, said the Captain. “That’s what they did to Hicks when he got hit.” “Rip open his shirt”, shouted Tompkins. No sooner said than done, and tear went his hemstitch, with the 40 cent bosom. This procedure aroused him somewhat, and opening one eye he moaned, “How did that internal mule get on to the grounds? Did he kick anyone else?” They all hastened to assure him that there was no mule around. “Then was there an earthquake?”, sobbed the sufferer. “No, no”, said one and all. “Well”, said he, sitting up, “I never expected to get struck with lightning on a clear day.” Again he was assured that there had been no lightning. Although a photographer by profession, he didn’t seem to want to take a negative. “No mule, no earthquake, no lightning?” “Certainly not”, came from 19 throats. “Well, I swear! If I had known that, I wouldn’t have set down.” And jumping up, was soon as lively as a cricket, putting out in the next inning six men with his own hands, according to his own claim. This cheerful little episode gave a new zest to the players, and the game proceeded as merrily as a marriage bell. In the second inning Mackenzie was excited. The score stood 1 to 0 in his favor. He wanted to bat every time, and hastily seizing Mason by the heels, whom he, in his perturbed state of mind, imagined to be a bat, he toed the plate. He only relinquished his hold when assured that Mason belonged on the other side. The captain’s “outsiders” got a chance at it this time, and the result was four runs. In C.N. 3054 John Hilbert drew attention to two further chess/baseball reports, in the Brooklyn Daily Eagle of 16 August and 27 August 1873. They can be read on-line at the following site: http://eagle.brooklynpubliclibrary.org/. ‘The book Baseball in the Garden of Eden (New York, 2011) by the reputable baseball historian John Thorn mentions two major early baseball pioneers who were also important in nineteenth-century chess. 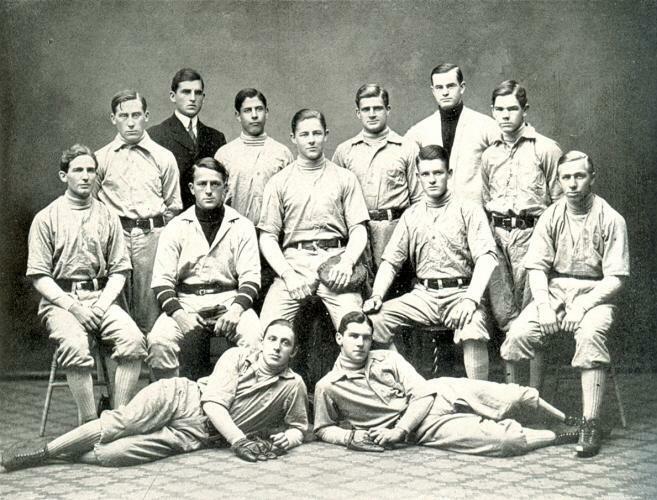 One is William R. Wheaton, who was a founding member of the Knickerbocker Baseball Club in 1845, and served as the Club’s first Vice President (see page 37 of Thorn’s book). 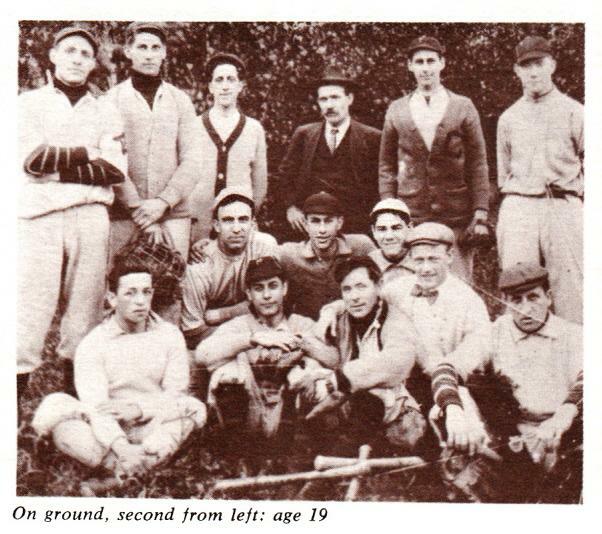 The Knickerbocker Club has long been credited as a major force in standardizing baseball rules, and thereby starting the game on its path toward becoming the organized “national game” of the United States. 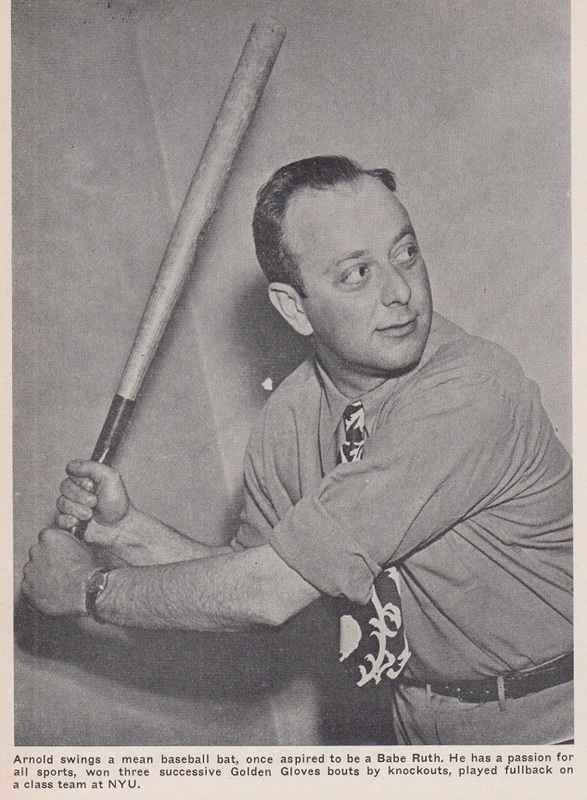 Thorn argues that Wheaton played a major role in writing those original Knickerbocker rules, which have been reprinted numerous times in baseball histories. Wheaton is one of six Knickerbocker Club members pictured in a famous daguerreotype dated 1845. On page 36 Thorn calls him “the most important Knickerbocker” in the early weeks of the Club’s existence. This is confirmed on page 57 of the New York, 1857 tournament book. An article ‘Chess and Baseball’ by Robert John McCrary appeared on pages 53-56 of his publication The Hall-of-Fame History of US Chess (1998). It mentioned, inter alia, ‘Henry Chadwick, “Father of Baseball”, Friend of Chess’, an article by Edward J. Tassinari on pages 47-51 of issue five of Lasker & His Contemporaries (1997). Other sources of information about Chadwick include a book published McFarland & Company, Inc: “The Father of Baseball” A Biography of Henry Chadwick by Andrew J. Schiff. 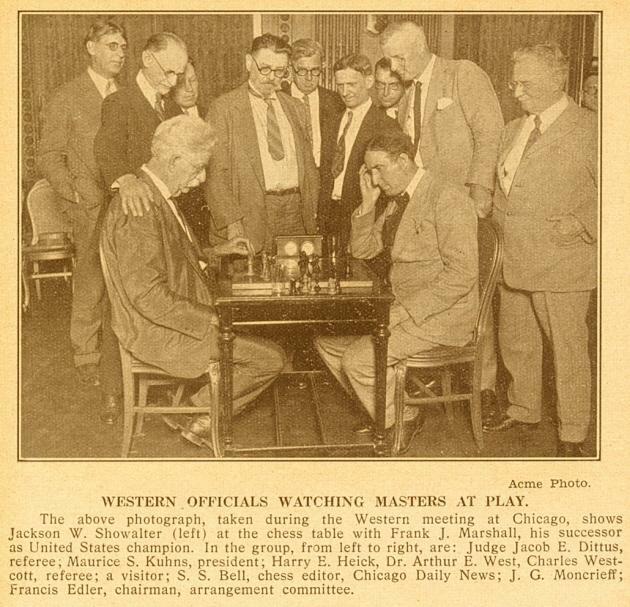 American Chess Bulletin, November 1904, page 123. ‘As quoted on pages 232-233 of Chess Explorations, Alistair Cooke drew parallels between chess and American football. Baseball too is a game played in turns (pitch by pitch, batter by batter). As in the case of American football, players from both teams often seem to run to positions on the field that bear no relation to the batter or pitcher; it is all part of various well-known strategic plans for either the offensive team (such as “sacrifice fly” and “stealing a base”) or the defensive team (e.g. “intentional walk” and “double play”) which the baseball fan recognizes instantly. 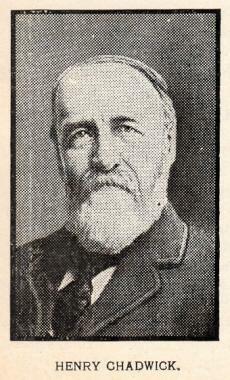 For further information about Henry Chadwick, see C.N. 8697. Latest update: 29 February 2016.